The average sale price of a manufactured home in the U.S. is $70,600, while the average price of a site-built home (excluding land) is $291,400 according to the U.S. Census Bureau. Anyone who has ever built a home can tell horror stories of cost overruns, delayed construction and snarly contractors. Such problems are foreign to the manufactured home industry because the homes are built in factories under strict rules and tight federal regulations. The factories build the homes on assembly lines, which leaves little room for error. Additionally, the manufacturing process maximizes the efficiency of workers. 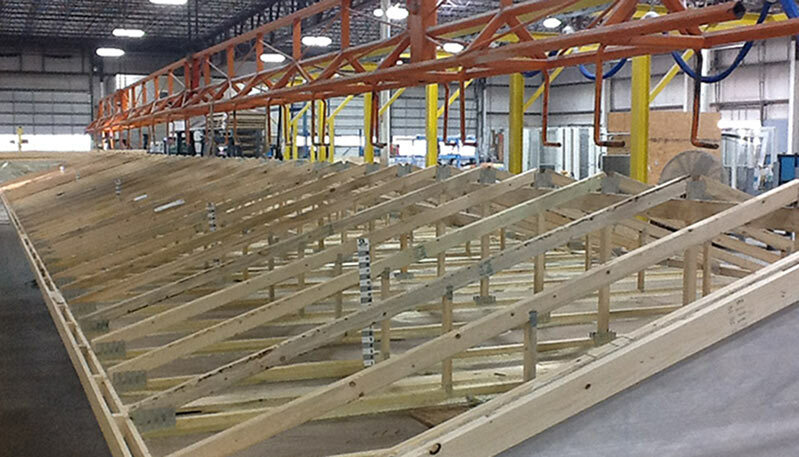 Manufactured homes are built indoors so that weather won’t interfere with their construction. This means rain or other adverse conditions won’t create delays in the work that can be done. The materials being used also won’t be exposed to moisture that can warp or damage them. Additionaly while under construction your home will not be exposed to vandalism and the potential unreliability of contractors and subcontractors. Learn more about how homes are built. Factories can build a typical double-wide or single-wide manufactured home in about one-third of the time it takes a contractor to construct a site-built home. When the house gets to your property, it is nearly 90 percent complete, which allows you to move into your new home much faster, as well. And just because construction and set up moves at a rapid pace doesn't mean the builders can ignore safety and building codes. In-house and third-party inspectors examine each structure before and after the home is on site. Wall-to-wall carpet, hardwood floors, ENERGY STAR appliances, top-of-the line fixtures, 10-foot ceilings, ceramic tile. 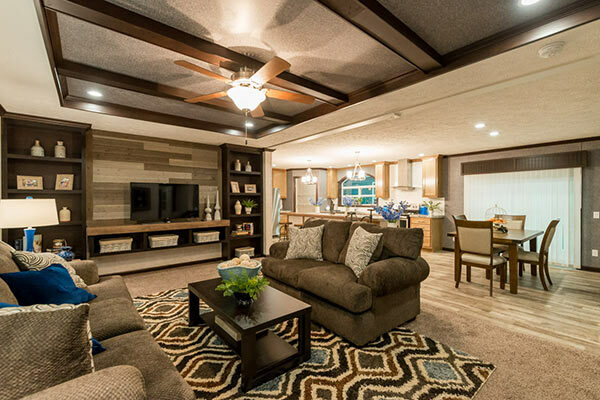 You would think your were in Derek Jeter's McMansion in Tampa, Fla. Actually, all the amenities you can find in a site-built home can also be added to manufactured homes. The only difference is that workers install everything in the house before it reaches your property. Some manufactured homes have walk-in closets, jetted tubs and soaker bathtubs, and others come equipped with fireplaces, bay windows and gabled roofs. And it's common for homes to have more than one bathroom outfitted with double sinks and sunken tubs. The new generations of manufactured homes are energy efficient. Factories now outfit manufactured homes with ENERGY STAR appliances. Builders take great care in making sure each home is tightly constructed with efficient heating and cooling systems, water heaters, and high-performance windows. If you haven't figured it out yet, manufactured homes are not your granddad's mobile homes. Some of the designs are even elaborate. Modular homes, for example, have more than one story. They have porches, garages and decks, and vaulted ceilings. And depending on the lots, homeowners can add beautiful lawns and landscaping. 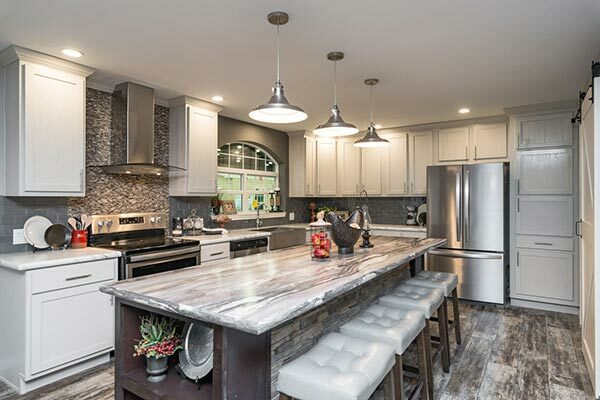 Builders can also customize houses to customer's specific needs -- want stainless steel appliances, hardwood floors and granite countertops? No problem. Some companies even specialize in upscale modular homes. One firm, the Modular Center, has a "Masterpiece Collection," which features homes that range from 2,000 square feet (185.8 square meters) to more than 5,000 square feet (464.5 square meters. Despite the trailer park stereotype, many manufactured home communities are wonderful places to hang your hat. Homeowners can rent or own the land on which their houses sit. More than 75 percent of manufactured homes are located on private property, while the remaining 25 percent are located in communities where the homeowner leases the lot. Find a Manufactured Home Community Near You.